I am so excited to be attending BlogHer 2012 in New York this August. I am even more excited to be sponsored by one of my favourite shoe companies: Jambu Adventure Designs. 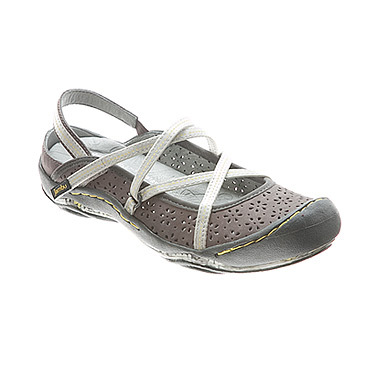 I first discovered Jambu last year when I reviewed a pair of Odyssey shoes. These shoes are still my favourite warm weather shoe. They are so comfortable and easy to wear…and they match nearly everything. Later, I tried a pair of Jambu boots that are also very comfortable and they fit my style perfectly. Jambu really does offer something for all tastes and styles. They have a line of vegan shoes, and they even have shoes for children. I have no problem being in my feet all day in either pair of Jambu footwear that I own, and if I worked in an office, I would hesitate to get a nice pair of Jambu heels like the ones shown above. Thank you to Jambu for sponsoring me at BlogHer 2012! Congrats on the sponsor – I love those sandals in the green, they look so comfy and stylish! I remember your review from last year – I love these shoes! They made a great choice in blogger to sponsor. Those green sandals look so comfy. I’m gonna have to check out their spring collection, I need new flip flops. Shoes have to offer comfort AND style and these look like they would be fabulous. Congratulations on your sponsorship! Yay! Congrats on the sponsorship. If I ever get one I’ll see ya there! I love all of those designs! They looks comfy too. They have some awesome shoes! Congrats on your sponsorship, how wonderful!!! That is so awesome! What a great sponsor… I’m so happy for you!